Want To Rent A Townhouse From Colonel Qaddafi's Son? By Sarah FirsheinAs we’re writing this, Libyan dictator Muammar el-Qaddafi has a team of mercenaries and loyalists fighting against rebels who want his despotic 40-year reign to end. Real estate news kind of takes a backseat to that bloody mess. 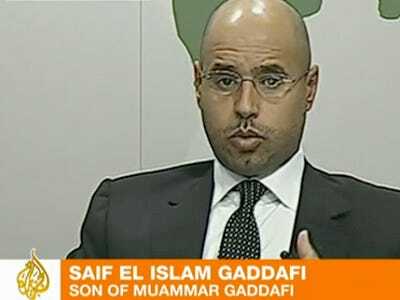 But for the sake of relevance, here’s a tidbit that just popped up: Qaddafi’s second son, Saif, has just put his newly revamped London townhouse on the rental market for $15,792 a week. No gut renovation on Earth would convince anyone to willingly become a Qaddafi tenant.